Have a lovely, relaxing weekend everyone. 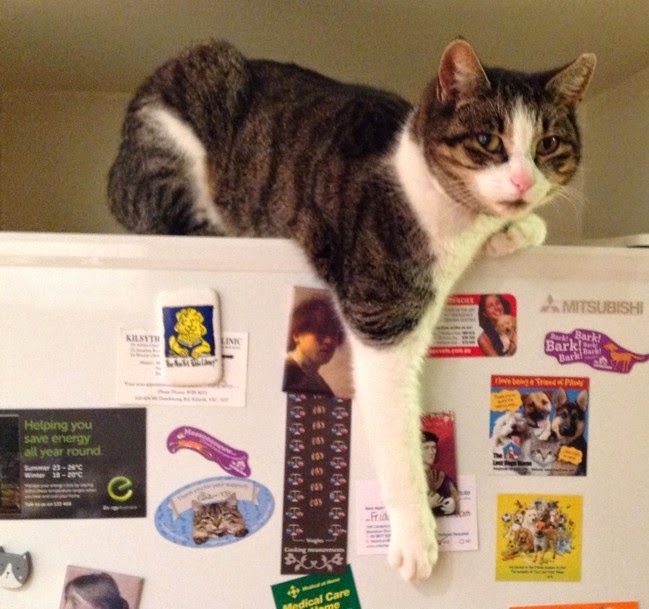 Phoebe is always completely relaxed, no matter where she finds herself. 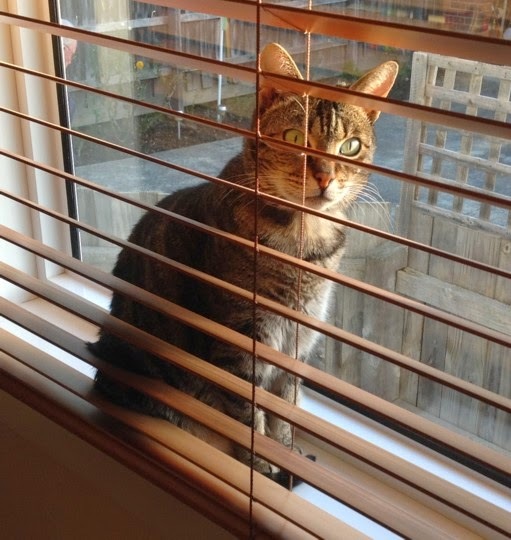 Lucky was sitting on the window sill looking gorgeous although puzzled as to why I was so excited to see her in a good spot for a photo where she couldn't immediately wind herself around my legs to avoid the camera. Just a completely normal Saturday afternoon at our house. Sophie Braithwaite & her daughter Wynne are preparing to welcome their cousin, Franz von Heiden, to Fernacres. Sophie's cousin, Elsie, had married Otto von Heiden before the First World War & spent the rest of her life in Germany. Elsie was very unhappy & the marriage was not a success. Being an Englishwoman in Germany during the War was difficult & Otto wasn't the kind of man to support his wife against the gossip & unkindness directed at her. Now, in 1938, Elsie's son, Fritz, wants to visit. Sophie is a kind, rather distracted woman, a widow with two children - Wynne & Roy, who is in the Navy. Her brother in law, Dane Worthington, also lives with the family. Dane seems to do very little to earn a living but he is actually involved in mysterious government work. Not quite spying but he seems to be used when delicate international negotiations are required. In that, although in no other way, he reminded me of Peter Wimsey. Dane even has a loyal manservant in the same efficient mould as Bunter. Wynne is a typical middle class young woman of her time. She's left school & is involved with her local community but spends a lot of time with her friends, playing tennis. Franz's visit begins awkwardly as he adjusts to his English family & the English sense of humour. However, he's soon being called Frank & finds himself learning a great deal about the English & their way of life that surprises him. Frank's father is a committed Nazi & Frank has been brought up to believe in Hitler & his policies. Otto has sent his son to England ostensibly to improve his English but he's really there to gauge the English attitude to Germany. Dane soon realises what Frank is doing but admires the young man's serious attitude & is content to merely observe him. Frank realises that his English side, which he was always made to feel ashamed of, is more important to him than he imagined. When Chamberlain returns from Germany declaring Peace In Our Time, Frank is relieved & delighted that his two countries have averted war. He is devastated when Hitler invades Czechoslovakia in 1939, in defiance of the Munich agreement. All his illusions about Hitler come crashing down with that one betrayal. He is even more upset because he has fallen in love with Wynne & realises that he cannot ask her to live in Germany & repeat the tragedy of his parents' marriage. 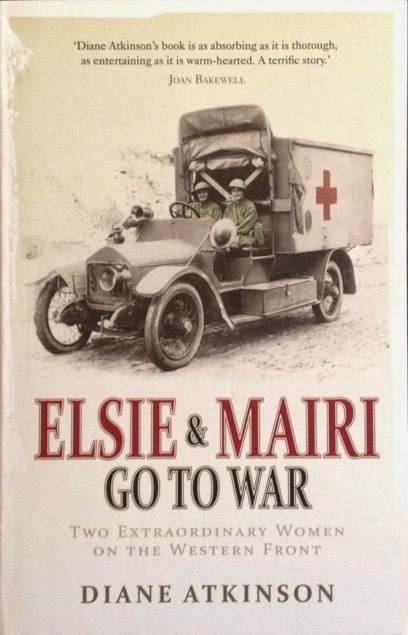 Frank & Roy are on a driving tour of Scotland when war is declared & he immediately leaves for Germany. Frank (now Franz again) finds his Aunt Anna, his father's sister who had looked after him as a child, ill & distressed, while his father is about to take up an important post in the Nazi Party. Franz decides to join a resistance group working to overthrow Hitler's regime & he's soon broadcasting to the allied countries, including England, where Dane hears him one evening. The Braithwaites have no idea where Franz is as he left without word. Wynne is in love with Franz even though they never discussed their feelings or their future. All she can do is wait for word, unaware that Franz is risking his life opposing the Nazis. 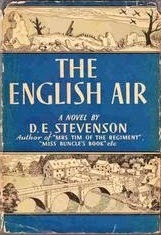 I loved The English Air (cover picture from here). Published in 1940, it gives a real sense of the atmosphere of the late 30s, the apprehension of another war & the relief that many people felt after Munich. Franz was such a sympathetic character & the story is almost entirely told through his experiences. It was interesting to see such an even handed presentation of a German character in a book written at such a fraught time. 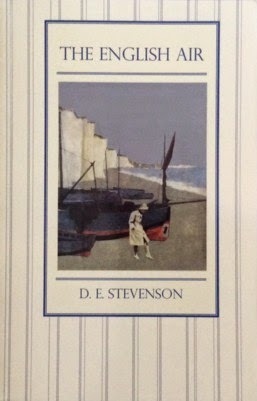 It's lovely to see Stevenson showing us the English from an outsider's perspective. Of course, it wouldn't be a Stevenson novel without a trip to Scotland &, as always, her descriptions of place & nature are beautifully done. Wynne & her friends are fairly stock characters but Sophie was a delight & her relationship with Franz was delicately drawn. The scenes between Franz & his aunt were very poignant & the later scenes in Germany very tense. This is one of the best D E Stevensons I've read. It's available to borrow as an ebook from Open Library & there are other recent reviews from The Captive Reader & Fleur In Her World (from whose blog I discovered Open Library). this edition is available for US readers from Anglophile Books. Jay & his family are settling in to a new house. But this isn't a planned move. Jay is in witness protection & his wife, Mia & son, Sam, seem unsure & a little apprehensive about their new circumstances. Next morning, a devastating explosion kills Mia & Sam & leaves Jay with physical & mental scars. Five years later, Jay is still in hiding, but from who & what, we don't know. He is having an affair with Lisa, a single mother caring for a teenage son, Ricky, with cerebral palsy. Lisa & Ricky lived with her father, Lawrence, until his recent death & she is still grieving for him & the support he always gave her. Lisa & Jay met through a mutual interest in Chinese culture & continued to meet one weekend a month, always in out of the way cottages. The relationship suited Lisa. Ricky & his needs always came first & Jay understood that & never wanted more than she was willing to give. Lisa's ex-husband, Barry, had left when Ricky was a baby, unable to cope with his disability. He had always contributed financially but has had no contact with Lisa or Ricky for years. Suddenly, Barry turns up with a proposal that disconcerts Lisa & threatens to change her relationship with her son. Lisa told no one about Jay, although she suspected that Lawrence had an idea that she was meeting someone on her precious weekends away. They lived in the moment so it didn't seem odd that Jay never talked about his family, his past or the scar on his face. But, after a visit to a stately home one weekend, things changed. Jay became reluctant to leave their rental cottage, no more visits to museums or eating out. Then, Lisa arrives for the weekend & Jay doesn't show up. At first, she's desperate, thinking he's had an accident or has been taken ill. She can't contact him, he doesn't phone or write, & she begins to discover how little she really knew about the man she loved. As her friend, Stella, says, "In my experience these things hardly ever come out of the blue. So often there are warning signs, just little things that you didn't want to see at the time. It's only when you look back that you realise." Stella thinks that Jay was married & that he's dumped Lisa when he was found out. The truth is so much more complicated, as Lisa discovers when she begins to look for those little moments, those hints that something was not quite right. Jay, on the other hand, has realised that falling in love with Lisa was the biggest mistake he could have made. He's working on a plan to take revenge on the man who forced him into witness protection & killed his family. He knows he can't contact Lisa but doesn't realise that, as well as putting his own head above the parapet, he's also put her in great danger. Invisible is a great thriller. I can't say too much more about the plot because the twists & turns are the whole point of reading a book that wrong foots the reader at every turn. I really needed to concentrate, especially in the beginning as many characters are introduced & their relevance only becomes clear as events unfold. In the end, I just put aside an afternoon to finish it because I couldn't wait to find out what happened next. Invisible is more than a conventional thriller though, because we have the domestic, ordinary story of Lisa & Ricky alongside the story of Jay. This was the real attraction of the book for me. I'm not a fan of thrillers which are just one long chase after another with a little violence thrown in. As a fan of Spooks (I never missed an episode), I also loved the way Jay carried out his plans & Lisa's trip to the British Library - I can't say any more! 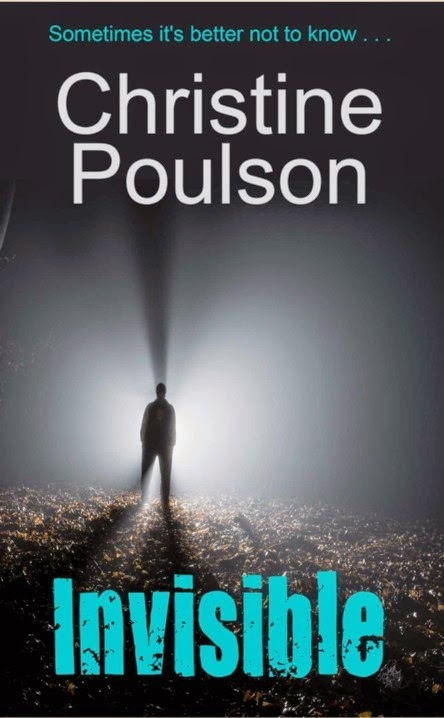 Christine Poulson kept me reading by giving out just enough information to intrigue & puzzle so that I had to read just one more chapter. That's why, in the end, I just dropped everything else & read the last half of Invisible in one sitting. I loved Christine's earlier series of crime novels featuring Cambridge academic Cassandra James & I still live in hope that there will be another Cassandra mystery one of these days. The series is available in ebook format, & the first book, Murder is Academic, is available in paper from Ostara Publishing, which has a great classic crime list. I read Invisible as a Kindle ebook & it's also available in paperback. There's more information at Christine's blog, A Reading Life. I was drawn to the title of this song, Madam, Will You Walk? by the almost-reference to Mary Stewart's book, Madam, Will You Talk? The folk song is quoted as an epigraph to one of the chapters but I was disconcerted to realise that there are many versions of the song & the version in my book doesn't have that line in it at all! I've been thinking about Mary Stewart this week & wanting to reread some of her books. There have been many lovely appreciations of her life & work on some of my favourite blogs. You can read a couple of them here (read the comments too) and here. This obituary in the Telegraph includes a link to a TV interview with her. Anyway, I'm posting the song anyway because I like the non-mercenary character of the young lady. All she wants is the key to his heart, not gold, silver or fine silk caps. If thou wilt walk with me. Nor I will not walk with thee. Nor I won't walk with thee. and I will walk with thee. Claude knew, and everybody else knew, seemingly, that there was something wrong with him. He had been unable to conceal his discontent. Mr Wheeler was afraid he was one of those visionary fellows who make unnecessary difficulties for themselves and other people. Mrs Wheeler thought the trouble with her son was that he had not yet found his Saviour. Bayliss was convinced that his brother was a moral rebel, that behind his reticence and his guarded manner he concealed the most dangerous opinions. The neighbours liked Claude, but they laughed at him, and said it was a good thing his father was well fixed. Claude was aware that his energy, instead of accomplishing something, was spent in resisting unalterable conditions, and in unavailing efforts to subdue his own nature. ... the old belief flashed up in him with an intense kind of hope, and intense kind of pain, - the conviction that there was something splendid about life, if he could but find it! Claude Wheeler has grown up on a farm in Nebraska. His father is prosperous but unsympathetic, prone to laughing at his sensitive son's desire to do more with his life. His mother is quiet & pious, supportive but powerless to influence her overbearing husband. Claude's older brother Bayliss has already left home & runs a store in the town. Younger brother Ralph is indulged & full of his own importance. Mahailey, the cook & housekeeper, does her best to help Claude & his mother. Claude's best friend is Ernest, who has immigrated from Germany & can't understand Claude's desire for something different. "You Americans are always looking for something outside yourselves to warm you up , and it is no way to do. In old countries, where not very much can happen to us, we know that, - and we learn to make the most of little things". Claude finally convinces his father to allow him to go away to college & there he meets the Erlich family, who are everything Claude wants to be. European, cultured, welcoming. They're not a rich family but they don't worry about their poverty as Claude worries about having the right clothes or knowing the right things. Claude's time at college comes to an abrupt end when his father sends Ralph off to manage a farm he's bought & Claude must come home. He thinks he's found his ideal in Enid Royce. He builds a beautiful home for them & has great plans but the marriage is a failure. Enid is more interested in her work for the Temperance Society & her sister's missionary work in China, than in her husband. Another dream shatters as Enid leaves to look after her ailing sister & Claude abandons his new home & goes back to the farm. The outbreak of war in Europe in 1914 reignites his interest & his idealism. Although the United States doesn't enter the war for several years, Claude & his mother follow the war news in the newspapers with great interest. Here, at last, Claude believes, is an ideal worth pursuing. The sinking of the Lusitania & the stories of the suffering of refugees fire him with the desire to help the Europe he learnt about in college & on his visits to the Erlichs. He's ashamed that his country is just standing by, but as soon as the US enters the war, Claude enlists & is sent to France. He survives a horrendous voyage on a troop ship & undertakes more training when he reaches France. Eventually he is sent to the Front. I loved this book, it will definitely be in my Top 10 of the year. Claude is a wonderful character, always dissatisfied & looking for more but never sulky or sullen. Maybe he's over-sensitive about his shortcomings but he is always searching for a life more fulfilling than the one mapped out for him by his father. Claude is a compassionate man. He never reproaches Enid for the failure of their marriage although he should have listened to her father, who warned him from his own bitter experience how a marriage to a woman like Enid could be. After every disappointment, Claude retreats & then starts searching again. Willa Cather writes so beautifully of the Nebraska she knew as a girl, all the descriptive writing is so vivid whether in Nebraska or France. Here, Claude has an introduction from a friend to Mlle de Courcy, a woman living in one of the newly liberated areas of France. His visit lasts only an afternoon but their talk ranges over the past & the present as he tells her about Nebraska & the farm & she describes how she has survived the years of occupation. There was nothing to do but to take his helmet and go. At the edge of the hill, just before he plunged down the path, he stopped and glanced back at the garden lying flattened in the sun, the three stone arches, the dahlias and marigolds, the glistening boxwood wall. He had left something on the hilltop which he would never find again. Elegiac moments like this are contrasted with the horrors of war as the young Americans are thrown into the chase after the retreating German Army. We were very much alike, and very different. He could never escape from the misery of being himself, except in action, and whatever he put his hand to turned out either ugly or ridiculous.... I was staying on his father's farm when the war broke out. We spent the first week hauling wheat to town. On those long rides on the wheat, we talked for the first time in years, and I saw some of the things that were really in the back of his mind.... I had no more thought of writing a story about him than of writing about my own nose. It was all too painfully familiar. It was just to escape from him and his kind that I wrote at all. Cather's own struggle to leave the prairie behind is also part of Claude. She didn't want the book to be labelled a "war novel", but inevitably, it was. Published in 1922, the critics were mostly unkind, praising the first half set in Nebraska because that's what they considered she knew best, but disliking the sections dealing with the war as they thought she romanticized this conflict that sent so many young men to their deaths. However, it became a bestseller & won the Pulitzer Prize the following year. 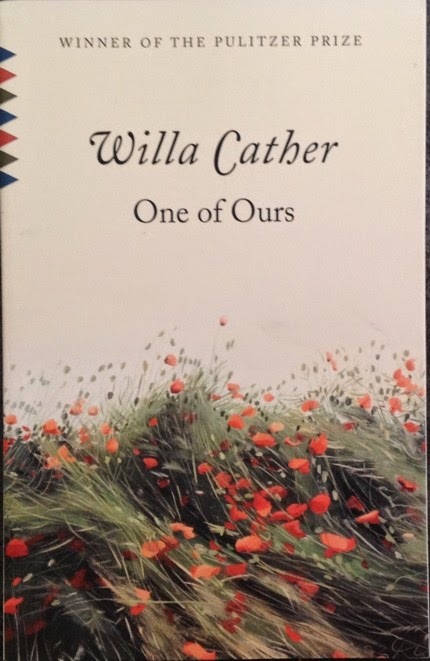 I read quite a few of Willa Cather's novels when I was a teenager but I haven't read any in recent years apart from The Song of the Lark. I've been reading Heavenali's reviews of Cather, including One of Ours, & I've ordered Sapphira and the Slave Girl & Death Comes for the Archbishop. More for the tbr shelves! 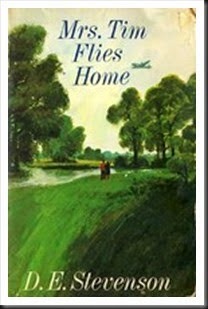 Mrs Tim Flies Home (cover picture from here) is the final Mrs Tim book. It's the early 1950s & Hester Christie has been living in Kenya with her husband,Tim, a Colonel in the Army. 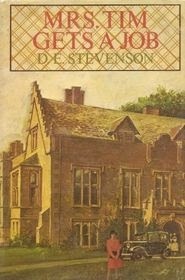 They decide that she should go home to England to spend time with their children, Betty & Bryan, & make a home for them over the summer holidays.Hester has arranged to rent the Small House, near the village of Old Quinings where Hester & Tim's former servants, Annie & Fred Boilings, now own the inn. Family friend, Tony Morley also lives nearby & between them, they have arranged everything. Hester flies back via Rome where she spends a few days to break the journey. On the flight she meets Rosa Alston, an irritating woman (well, I found her irritating but Hester doesn't seem to at first) who takes Hester under her wing as she hasn't done much flying. It seems strange to us now, when air travel is so much more common, but in the 50s it was much more expensive & rare. In one of those typical Stevenson coincidences, Mrs Alston grew up near Old Quinings & remembers going to parties with Tony Morley, who she didn't like at all. Luckily, Mrs Alston has plans when they reach Rome & Hester has booked herself in to a pensione run by Signora Scarlatti, so they part &, although they make plans to meet the next day, Hester expects to have little to do with her new friend in future. Tony Morley turns up at the pensione as a surprise & whisks Hester off for a couple of days sightseeing. The Signora is convinced that they're carrying on an affair & nothing Hester can say in her imperfect French (the only language they share) can convince her otherwise. Unfortunately Hester forgets her appointment with Mrs Alston & that lady, speaking perfect Italian, soon hears all about Hester & Tony from the Signora. Hester arrives in England & finds herself travelling down in the train with her new neighbour, Miss Crease, a disagreeable, quarrelsome woman who knows all about Hester already & is eager to know more. Hester is relieved to get to the inn & be pampered by Annie Boilings. She is soon settled in to the Small House. It was owned by Mrs Stroude & now that she's dead, her stepdaughter has rented the house while she goes on a cruise. Lorna Stroude was much loved & respected but her stepdaughter seems to be her opposite in every way. Olivia Stroude was unkind to her stepmother & is disliked by everyone Hester meets in the village. She seems to have no redeeming features, something which Hester discovers when, after a peaceful few weeks of solitude, she suddenly descends on the Small House & tries to bully Hester into leaving early. Olivia claims to be searching for a valuable letter, written by Byron to her stepmother's grandfather, & intimidates Hester into letting her search the attic for it. Why Hester doesn't just wave the lease, a legal document, in the woman's face & tell her to go away, I don't know, but it isn't until her cleaner, Mrs Daulkes, advises ringing up Tony Morley because, of course, only a man could sort that woman out, that peace is restored. Tony says all the things Hester should have said & sends Olivia Stroude off with a flea in her ear. Rosa Alston has also turned up again, asking Hester for help in finding somewhere suitable for her to stay with her son, Edmond, who is studying & needs peace & quiet. Hester arranges with Annie for them to stay at the inn & although everything Hester has heard about Edmond leads her to imagine him to be a priggish, spoilt horror, he turns out to be a delightful young man who talks to Hester about Trollope & couldn't be more unlike his mother. Hester's children arrive for their holidays & the house comes alive. Bryan, Betty & Bryan's schoolfriend Perry soon make friends with Edmond & Susan Morven, an attractive young woman who lives in the local big house. Hester indulges in some matchmaking while the young people go on picnics, play tennis & race around on Perry's motorbike. Tony Morley gives a ball & he & Hester make a discovery in the Small House that will change the life of another of Hester's new friends. Meanwhile, Hester worries about Tim's short, distant letters from Kenya & wonders if he has somehow heard about the rumours spread by some of the old cats in the village about her & Tony in Rome. This is a lovely, comforting book just like all the other Mrs Tim books. As always, I loved the descriptions of the countryside & the Small House, although not old, is a charming, comfortable house where Hester is perfectly happy until the doubts & worries about her family & friends begin to overwhelm her. One of my favourite scenes was when Bryan dismisses Scott & Trollope as "such small print and much too long". I did have a sneaking sympathy for him though when he had to read Trollope's He Knew He Was Right, "... it was the most awful tripe - all about a man who thought his wife was carrying on with another man, and of course she wasn't at all. The whole misunderstanding could have been cleared up in a few words, but He Knew He Was Right so it went drivelling on until he'd wrecked everything. A ghastly book." Bryan also thinks Scott's Redgauntlet would be improved if a modern thriller writer got hold of it & made it go quicker "and put some pep into it." I hope someone reprints the Mrs Tim books one of these days. I think they would be perfect for anyone who has enjoyed the Miss Buncle series which has been reprinted twice in the last few years- by Persephone in the UK & Sourcebooks in the US. Why couldn't one of them have chosen the Mrs Tim books instead? Fingers crossed someone else does it one of these days. Another folk song about a soldier but this time a drummer & a female at that. There were several women who disguised themselves as men & joined the army or navy. The most famous is probably James Miranda Barry, who joined the army as a surgeon. This young girl wanted a life of adventure & seems to have enjoyed the life until she was betrayed. It's called The Female Drummer. And very soon they learnt me for to beat upon the drum. To think myself a drummer but a maiden all the while. She went unto my officer, my secret she betrayed. "It's a pity we should lose you, such a drummer as you made"
"It's a pity we should lose you, such a drummer as you made." I'll put on my hat and feathers and I'll beat the drum again. 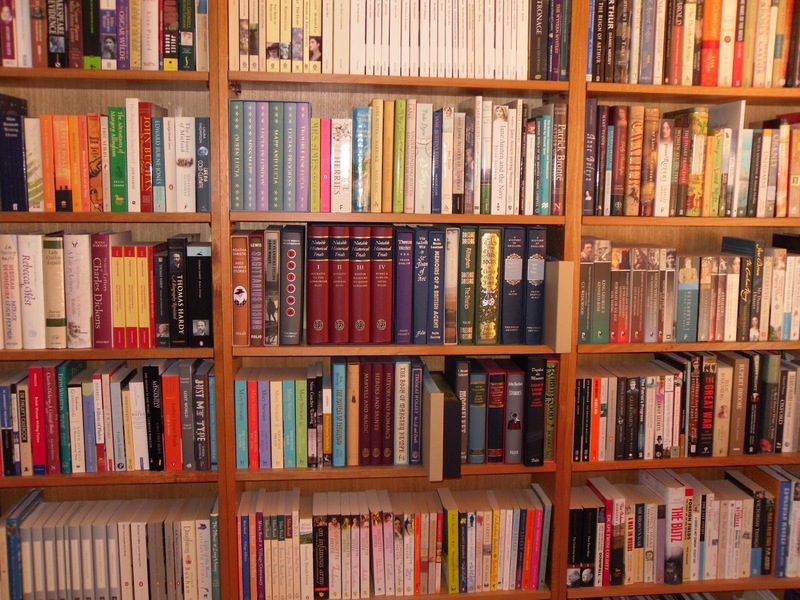 I love my tbr shelves. I'm a very lucky woman, as well as a very undisciplined one when it comes to buying books. I blame the internet & ebooks for the explosion of my tbr shelves over the last few years - it couldn't possibly be my fault. I'm also very easily led when it comes to ideas for what to read next &, as my mother would have said, my eyes are bigger than my stomach (or whatever the bookish equivalent is). So, the curse of the tbr shelves is that I often have a copy of whatever book has been reviewed in the blog post I just read or podcast I just listened to, especially as I read blogs that often focus on older books, & I want to read that book right now. Or as soon as I finish the three books I'm reading at the moment. But then, definitely, before the next inspiration strikes. So, the book moves from the shelves to the pile on my desk & sometimes sits there so long that I've forgotten what the original inspiration was. These are the books I've pulled off the shelves in the last few weeks & the reasons why they're there. Continuing the WWI theme, I listened to a fascinating podcast from BBC Women's Hour the other day. It was an interview from the 1960s with Baroness de T'Serclaes, who began life as Elsie Knocker, one of the courageous women who set up ambulance posts & nursed during WWI, usually with very little help or encouragement from the establishment. I remember telling my self to order the paperback because I was never going to have time to read the hardback. Well, I did, & that was four years ago. 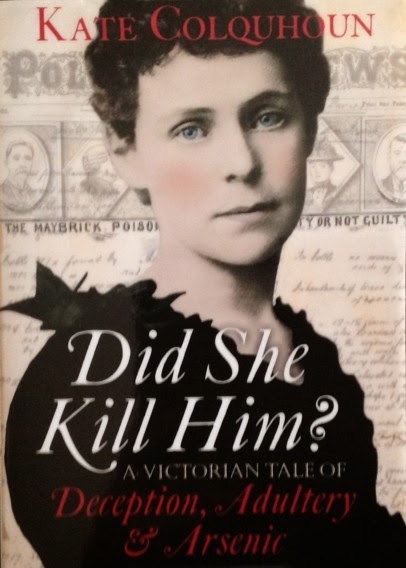 Simon Savidge recently reviewed Kate Colquhoun's new book about the Maybrick murder case, Did She Kill Him? Simon also interviewed Kate on his podcast, You Wrote The Book! I've read other books about Florence Maybrick & I love a good Victorian poisoning murder so I'm keen to read this soon. At least this is from the library so it's in the library tbr pile instead of my own personal tbr pile. Is there a difference, except that the library books have to go back eventually? 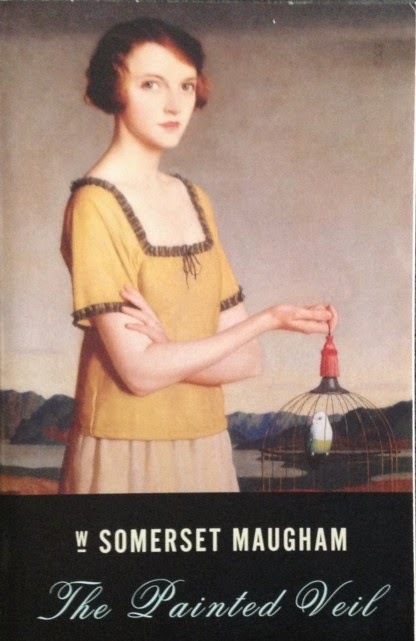 Then, I read Desperate Reader's review of Somerset Maugham's The Painted Veil. I have this lovely Vintage edition & I seem to be collecting Vintage editions of Maugham but not actually reading any of them. I've also just read an interview at Nerdalicious with Elizabeth Norton, author of many historical biographies, including The Anne Boleyn Papers. This is a bit different though, as it's a biography told almost entirely through the contemporary sources for Anne's life. 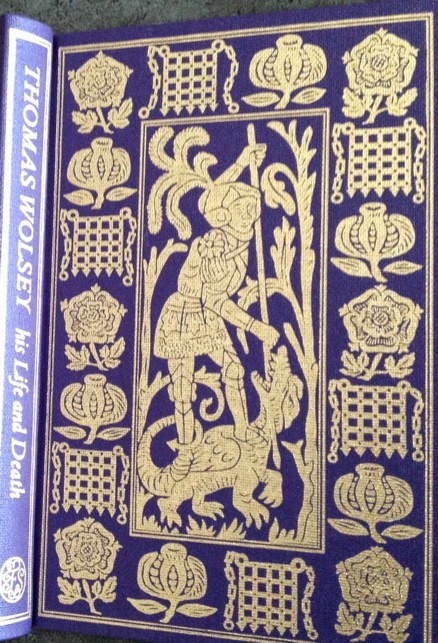 However, it reminded me that I have this beautiful Folio edition of one of the major sources for Anne's life, George Cavendish's Thomas Wolsey : His Life and Death. Somehow, I've also managed to order Elizabeth Norton's book as well... How does that happen? Then, there was Heavenali's review of Sheridan Le Fanu's Uncle Silas & Cosy Books' purchase of the Virago edition of Charlotte Yonge's The Daisy Chain, which reminded me that I still haven't read the sequel, The Trial, which I downloaded a long time ago. I could also mention the new Persephones & the Slightly Foxed editions that I'm determined to read as they arrive & not let them be overtaken by other books - but I won't because this post is long enough as it is. There you have it, my latest list of good reading intentions. Only time will tell how many of them I actually read. I have no idea what's coming up next because my brain is hurting. 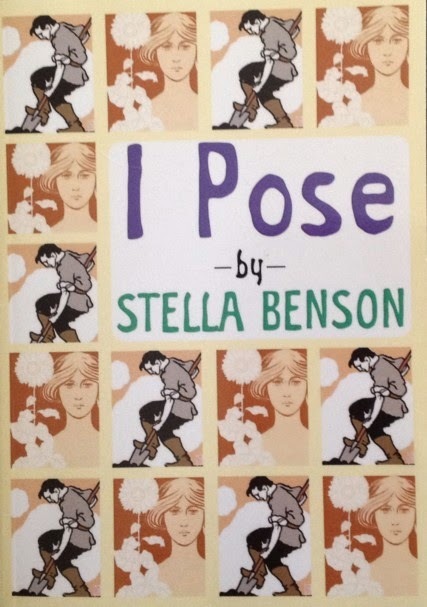 I Pose was Stella Benson's first novel & it was reviewed with great acclaim when it was published in 1915. Posing is one of the main themes of the novel. 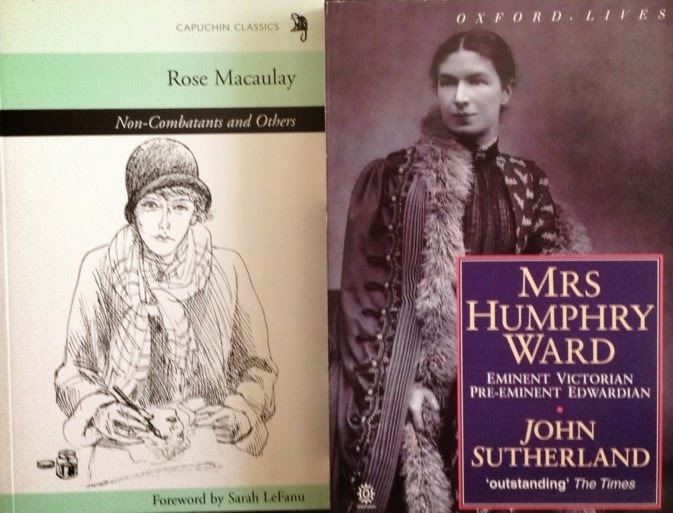 The two main characters, known only as the gardener & the suffragette, spend most of the novel striking different poses. The narrator often interjects to point out these poses & to tell the reader not to take it all too seriously. I found it an odd book but I could not stop reading it. I became very fond of both the gardener & the suffragette & I wanted to find out what happened to them. "I have left everything I have as hostages with fate," said the gardener. "When I get tired of Paradise, I'll come back." He meets Samuel Rust, who owns the Red Place, a hotel in the middle of nowhere. The hotel hasn't been much of a success because Mr Rust needs a little capital for advertising. His mother has capital but won't give it to him. Mr Rust asks the gardener to go on the same cruise as his mother & convince her to give him the money he needs. As the gardener has no money & no prospects, he agrees. He first meets the suffragette as she plans to burn down the Red Place as a publicity stunt for the Cause. She hopes that a Cabinet Minister may be staying there but she will burn it down anyway. The gardener is determined to stop her & ends by practically kidnapping her & taking her on board the Caribbeania, where he is to meet Mrs Rust, & telling everyone she's his wife. Courtesy is also on board, reluctantly being sent out to the Trinity Islands on a husband-hunting expedition. On the voyage, it soon becomes apparent that the gardener & the suffragette are not married (mostly because the suffragette refuses to lie) & they are shunned by the more easily shockable passengers, including a priest who tries to save the suffragette. Unfortunately he's self-serving & hypocritical & the suffragette shocks him every time she opens her mouth as she prides herself on only speaking the truth (another pose). The gardener becomes acquainted with Mrs Rust, a peculiar woman with bright red hair who is contradictory for the sake of it. I love this scene between Mrs Rust & the priest. "Have you made the acquaintance of that dark young man who acts as the ship's gardener?" he asked. "An excellent young man," said Mrs Rust, immediately divining that the priest did not approve of him. "Yerce, yerce, no doubt an excellent young man," agreed the priest mechanically. "But I have reason to believe that his morals are not satisfactory." "I do not think he is really married to that aggressive young woman he calls his wife." "Good." said Mrs Rust. She did not approve of such irregularities any more than the priest did, but she disapproved of disapprobation. The gardener soon has Mrs Rust's measure & plays her at her own game, contradicting her so that she will decide to do the opposite of what she intended. When Mrs Rust's companion throws herself overboard, Courtesy is employed as her companion & they have quite a battle of wills. When they arrive on the Islands, they become involved in local life. The gardener saves a couple of children from death in an earthquake & the suffragette becomes involved with a precocious little boy called Albert & his prim aunt. All this time, the gardener is falling in love with the suffragette but she has decided that love is not for her & she keeps up her pose of self-sufficiency & devotion to the cause. Eventually they sail back to England with their relationship still undefined & the reader is left in doubt until the end as to what will happen. It seems odd to care about two characters with no names but I did care what happened to them both which is a testament to Stella Benson's skill at creating characters that, for all their poses, are very sympathetic. They're not the stereotypes they could have been, especially the suffragette, who could have been a cardboard cutout of the militant suffragette but is much more nuanced than that. Benson obviously enjoyed playing with the structure of the novel when she wrote I Pose. Apart from not naming her principal characters, the first chapter is 300pp long. The second (& final) chapter is 8pp long. The narrator interjects into the narrative all the time, explaining the odd time shifts of her world, reassuring the reader that she understands their frustration with this character or that, making snide comments about the less sympathetic characters, especially the priest who is the most unchristian priest I've encountered in a novel since Trollope, I think. Some readers will be offended by the treatment of the Trinity Islanders which is condescending & quite racist. I found it made uncomfortable reading but it was in keeping with the times in which the novel was written. I was also confused as to where the Trinity Islands were. In a sense, it doesn't matter because the whole novel is a fantasy but I felt the Islanders were West Indian or Caribbean (maybe I was influenced by the name of the ship) but their voyage home takes them though Suez & past the Azores so I suppose they must be in the Indian or Pacific Oceans. This is a minor point but I was confused. Then again, geography is not my strong point. I enjoyed I Pose very much as an unusual, witty novel that has been out of print for far too long. It was sent to me by Michael Walmer, who is reprinting some fascinating novels, mostly of the late Victorian & Edwardian periods. I reviewed Ada Leverson's The Twelfth Hour a few months ago & I'm very excited about Mike's new series of letters, diaries, journals & essays. The first to be published is Winifred Holtby's Letters to a Friend. Holtby's letters to Jean McWilliam, who she met when they both served in the WAAC at the end of WWI. My review copy is on its way! Moving on from WWI to folk song. Not really poetry, I suppose, but this new anthology of English folk song is full of lovely stories so I'll be choosing a song or two from each of the themed chapters over the next few weeks. The first chapters is about soldiers & sailors, so it's a link from the last anthology to this one, Faithful Sailor Boy. It was a stormy winter's night, the snow laid on the ground. The sailor boy stood on the quay, his ship was outward bound. This parting gives me pain. When the storms are raging high. Without a gale the ship set sail, he kissed his love goodbye. She watched the craft till out of sight, and a tear bedimmed her eye. She prayed for him in Heaven above to guide him on his way. His last and loving words that night re-echoed o'er the bay. He died whilst on the voyage back, the flag t'was half-mast high. On earth we meet no more. As promised, here is Part Two of my look at some recent library books I've borrowed from work. Derry Moore's An English Room is a series of photographs of well-known people in their favourite rooms. Moore is a well-known photographer of the English character, as Simon Jenkins writes in his Foreword & each photograph (one with the subject & then two more without) is accompanied by a brief essay by the subject about the significance of the room they have chosen to be photographed in. Derry Moore sees the book as a follow-up , in a way, to his earlier book, The Englishman's Room, published 25 years ago. That book was only about men, while this one includes women & is much broader in the interpretation of what an English room is. These rooms are all over the world but each of them contains an essence of Englishness. 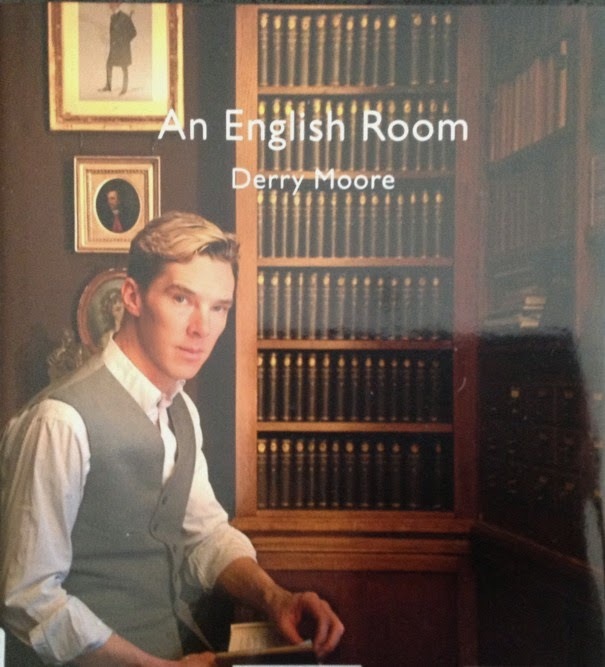 Some of my favourites were Harriet Walter on the staircase of her London house, Felicity Kendal at the Gielgud Theatre, Jeannette Winterson at Shakespeare & Co bookshop in Paris, P D James at Clavell Tower in Dorset, Adam Nicolson in his grandmother, Vita Sackville-West's, bedroom at Sissinghurst &, of course, the lovely Benedict Cumberbatch in the library of the Garrick Club, soaking up all that theatrical history. One of the many things that I envy people who live in or near London, is that chance to go to some of the galleries & exhibitions I read about on blogs like Mrs Miniver's Daughter. 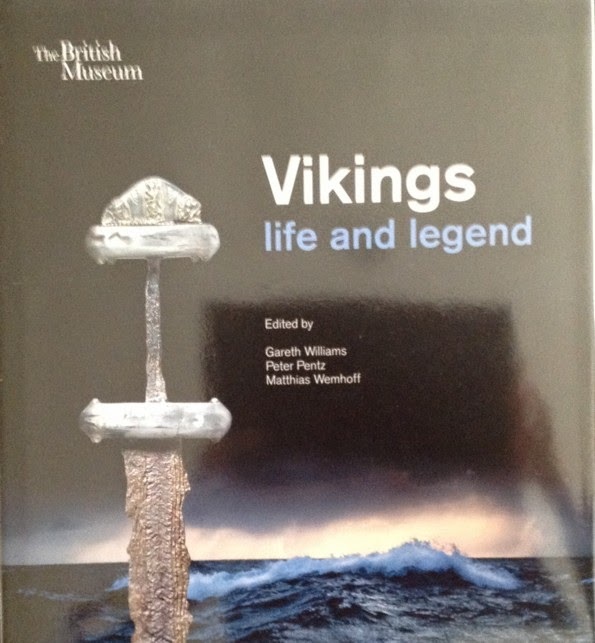 One exhibition that I would love to see is on now at the British Museum - Vikings - life and legend. I'll just have to make do with the accompanying book by Gareth Williams, Peter Pentz & Matthias Wernhoff. This is much more than just a catalogue. As well as illustrating the exhibits from the exhibition, it is a history of the Viking Age, exploring the landscape & society they came from, their explorations & adventures, trade, settlement & literature. The centrepiece of the exhibition is the ship, Roskilde 6, & there's a chapter on how the ship was excavated & restored. Both beautiful books, perfect for browsing through on a wintry Sunday afternoon. Sorry about the terrible cover photos. It's not easy to take a decent photo of library books with shiny covers! 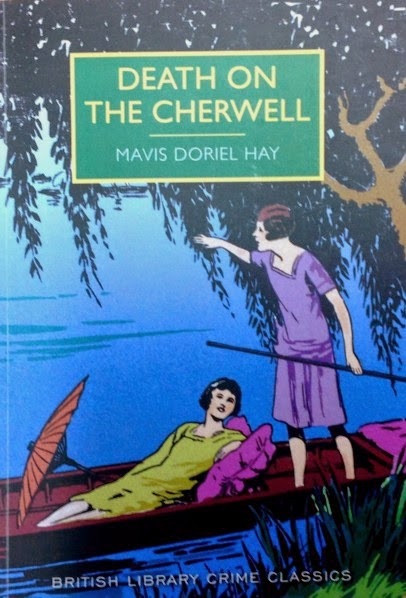 Published in 1935, the same year as Gaudy Night by Dorothy L Sayers, Death on the Cherwell, & its author, Mavis Doriel Hay, have been completely forgotten until this welcome reprint by the British Library. The tradition of college crime - whether based in Oxford or Cambridge - was well-established in the Golden Age of mystery fiction & I enjoy a mystery set in an enclosed community so I was definitely interested in this reprint. Add the gorgeous cover & the fact that the fictional college is called Persephone & I couldn't wait to read it. Four first-year students at Persephone College - Daphne, Sally, Gwyneth & Nina - meet on the roof of the boathouse near the college on a cold January afternoon. They plan to form their own society, the Lode League, & their purpose is to curse the unpleasant Bursar of the College, Miss Denning. Miss Denning, known as the Burse, is coldly efficient & very strict with the students & is therefore loathed by many. The League has barely concluded their first meeting when they see a canoe drifting down river. They're astonished & a little frightened to discover the dripping wet body of Miss Denning lying in the bottom of the canoe. The Principal of the College, Miss Cordell, calls the police & it appears that Miss Denning had quite a few enemies & not just among the disgruntled students. She was feuding with a misogynistic local landowner, Mr Lond & a local farmer, Lidgett, over the sale of land to the College. She had also upset a Yugoslav student, Draga Czernak, by insulting her & inspiring the girl to threaten a blood feud against her. She was also very secretive about her private life. She had no family, apart from a niece, Pamela, who was studying at Cambridge. Miss Denning had been determined to keep Pamela away from Oxford but would never explain why. Miss Denning was a keen swimmer & canoeist & it wasn't unusual to find her on the river in all weathers. Inspector Wythe of the local police soon decides that her death was murder. How could she have drowned accidentally & then got herself, dripping wet, back into the canoe? If she hit her head accidentally, someone must have put her body back in the canoe & set it drifting downstream. Where were the paddles? When the doctor discovers a blow to the back of her head, it seems that murder or manslaughter are the only options. Scotland Yard, in the person of Detective Inspector Braydon, arrives to carry on the investigation, which is being helped & hindered by the meddling of the four members of the Lode League as well as some of the male students of St Simeon's. Finding the solution of this mystery will mean delving into the past of Miss Denning & disregarding a lot of red herrings along the way. I enjoyed Death on the Cherwell very much. The college atmosphere was evoked very successfully. I loved the fact that the students of Persephone College were just as irritated at being referred to in the Press as Undergraduettes as the students & Fellows of Sayers's Shrewsbury College. There are some very funny scenes, especially Daphne's conversation with Owen Vellaway, student of St Simeon's & newly published poet. His poem, Dust, is available in Blackwells, in a sealed package to stop people just reading it in the bookshop. 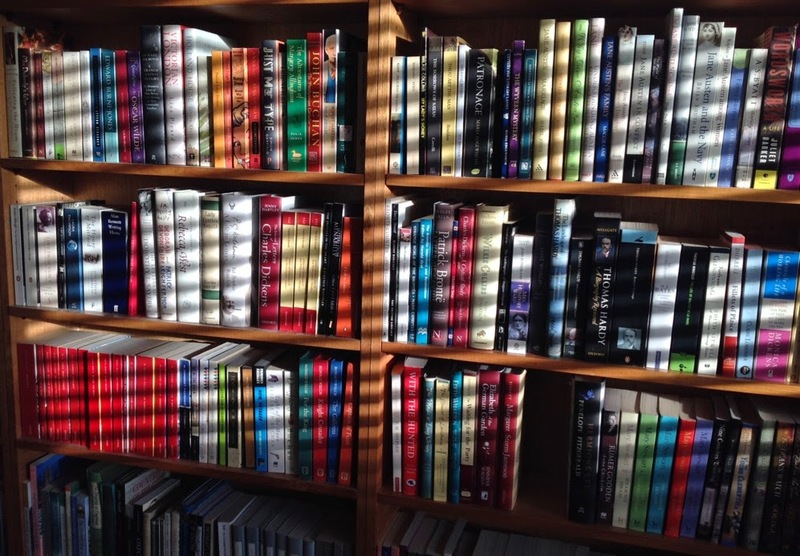 What would Owen have thought about pirated books in the days of the ebook? The students are resourceful in their investigations & I do think Inspector Braydon is extraordinarily forbearing with them as they go around picking up evidence & destroying fingerprints. He's definitely in the gentleman sleuth mould of Alleyn & Campion, though, & has impeccable manners & a proper sense of the right way to go about a sensitive investigation so as not to impugn the reputation of the College. Sally's sister, Betty & her husband, Basil Pongleton, (who made an appearance in Hay's other mystery, Murder Underground) arrive in a wonderful car & have a convenient previous acquaintance with Miss Denning & her niece. This enables them to offer to look after Pamela when she arrives in Oxford & Sally & her friends take advantage of the opportunity to further their investigations. 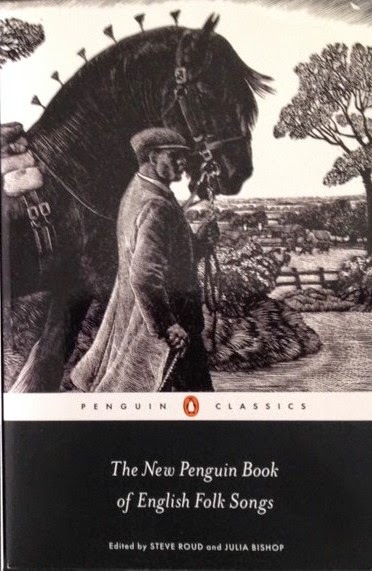 The minor characters are all interesting, from Mr Lond's worried landlady to the absent-minded don, Mr Mort & the unhelpful Farmer Lidgett, who leads Inspector Wyeth on a muddy walk through his fields, recreating the afternoon that Miss Denning died. Death on the Cherwell is my idea of a perfect Sunday afternoon book. It's a shame that Hay only wrote three mysteries but it's lovely to have them now all back in print in this beautifully produced series of British Library Crime Classics. 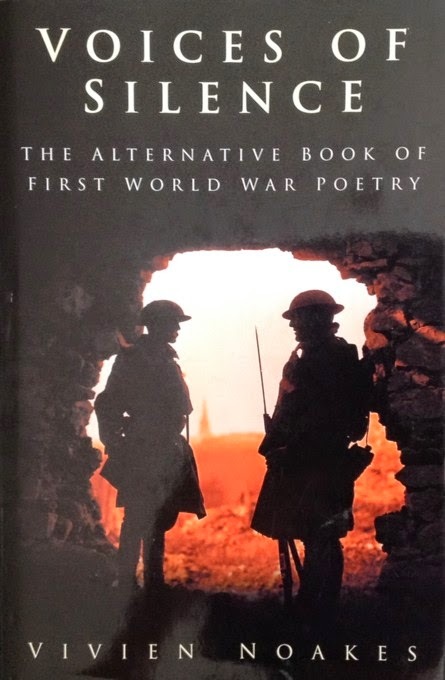 The anthology I'm reading at the moment, Voices of Silence, edited by Vivien Noakes, is quite different from any other anthology of war poetry I've read before. It reminds me of Catherine Reilly's groundbreaking anthologies of poetry & verse written by women, Scars Upon my Heart & Chaos of the Night. None of the usual suspects are here. No Owen, Sassoon, Rosenberg, Brooke or Blunden. Vivien Noakes has trawled the newspapers, magazines & scrapbooks of the period to find poetry written by men & women who may never have written poetry before & certainly never thought of themselves as poets. The quality of the verse may be less obvious than that of the great poetry that we learned at school but the emotions are no less real. There's also a lot of humour in the poetry & a wide range of contributors from all arms of the services. This week, I've chosen The Dawn Patrol by Paul Brasher. Little is known of the poet. He won a DSC & seems to have survived the war. I liked the quiet stillness he evokes as he flies home after a mission & his thankfulness that he is safe, for now, at least. Silver, and cold, and slow. Hiding the level loneliness from me. Along the still, deserted ocean ways. And watch the seas glide by. whose white and gleaming wings beat on through space. As though the glowing sun were God's bright Throne. In thanks to Him Who brings me safely home. Mrs Tim Christie, Hester, is at a loose end. The war is over but her husband, the Colonel, is still in the Army, in Egypt. Her children are at school & her landlord has given her notice to quit her comfortable little house in Donford. When her bossy friend Grace MacDougall declares that she has found her the perfect job, Hester is dubious. However, she decides to take the plunge & finds herself on the way to Scotland, to run a hotel, Tocher House, near the town of Ryddelton. Mrs Tim Gets a Job (cover picture from here) is the story of Hester's adventures at Tocher House, working for eccentric Erica Clutterbuck & coping with everything from a miserable housemaid to the love affairs of the guests. Hester's adventures begin even before she arrives when she meets Roger Elden on the train. Roger had served with Colonel Christie & recognizes Mrs Tim from her photo on his wall. He's been demobbed & is hoping to marry a young woman, Margaret, with whom he's been corresponding for some time. Margaret has been caring for an elderly aunt & seems reluctant to marry now that the aunt has died & Roger is home. The reader isn't at all surprised to discover that Roger Eldin's Margaret, Miss McQueen, turns out to be staying at Tocher House. It takes Hester quite a bit longer to work this out. She stands near the bookstall, a solid figure in a Lovat tweed coat which is somewhat shabby but very well cut. She stands with her feet well apart and her hands in her coat pockets, a cigarette in a cherry-wood cigarette holder is stuck in the corner of her mouth. She is short-necked; she is hatless, her grey wavy hair is slightly tousled with the evening breeze. For some strange reason Miss Clutterbuck reminds me of Mr Churchill, Mr Churchill in one of his belligerent moods. Housemaid Clara Hope is resentful & gloomy, waking Hester with a bang of a teacup every morning as she flings open the curtains. Hester feels out of her depth & wishes she'd imposed herself on a willing friend or relation instead. However, she soon begins to find her way. Erica Clutterbuck has a heart of gold &, although she is rude to her guests & has some impossible rules (bring your own towels & compulsory attendance at the monthly sewing bee for charity) the hotel is comfortable & the food excellent. When Erica discovers Hester turning out the linen cupboard in the middle of the night, the only time when she can spread everything out on the landing, the two women are soon on first name terms. The hotel guests are Hester's main responsibility. Erica refuses to talk to them as she resents having to have paying guests at all. She assuages her conscience by ploughing all her profits back into the house which is her family home. Hester soon gets to know the guests. Mr Stannard, who has come to Scotland for the salmon fishing with his wife & their recently demobbed son. Margaret McQueen, who is so exhausted & depressed by her long period of nursing that she can't see her way out of her misery. Mrs Ovens, whose husband is in the services but who seems to be carrying on an affair with another guest. The two Mrs Potting, sisters-in-law, who take a fancy to Hester & want her to return to America with them at three times her current salary. Mrs Wilbur Potting wants to study Hester for her lecture series on The Spirit of English Womanhood. Hester's children, Bryan & Betty, arrive for their holidays & Tony Morley, now a Brigadier, also appears. We push through brambles and nettles and discover a high archway of stone and, stepping over the tumbled masonry with which it is partially blocked, find ourselves in a large, oblong courtyard. There is no roof and on two sides the enormously thick walls have disintegrated into piles of rubble masked with trailing ivy, but the third and fourth walls are still standing and tower above us, windowless except for narrow, slanting slits. At one time this great hall - or courtyard - has been paved with flags but these have been cracked with frost or raised from their bed by the roots of trees; grass grows in the crevices and wild willow herb (not yet in flower of course) and there are primroses in the sheltered corners. At one end of the ruin is the remains of a tower, a thick square building with a narrow doorway through which can be seen a flight of stone steps. Mrs Tim Gets a Job is a delightful book & I enjoyed reading it very much. 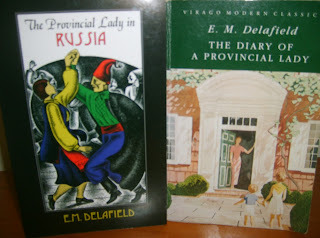 I've read the first two Mrs Tim books which were reprinted a few years ago by Bloomsbury as Mrs Tim of the Regiment. I read this one thanks to Open Library & I've reserved Mrs Tim Flies Home which is the final book in the series.